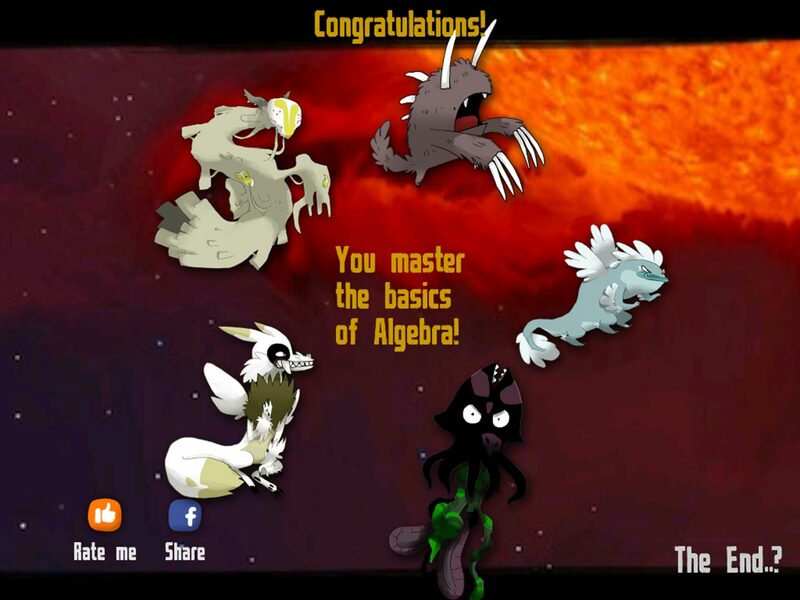 DragonBox is an educational math game for iPhone, iPad, and Mac that teaches the concepts of algebra in a fun way. Instead of sitting in a classroom and listening to a teacher give all the rules for solving an equation, kids can simply play a game with similar rules that starts with pictures and slowly introduces algebraic symbols. 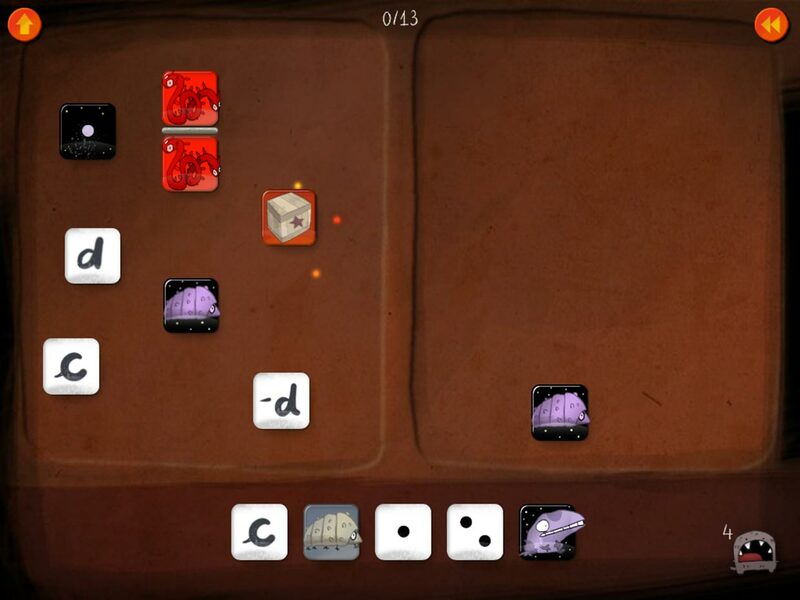 When you first start playing DragonBox, you are introduced to the game board that is split into two sides. On the board, there is a box and other tiles with pictures, and the goal is to get the box alone on one side of the board (solve for x). 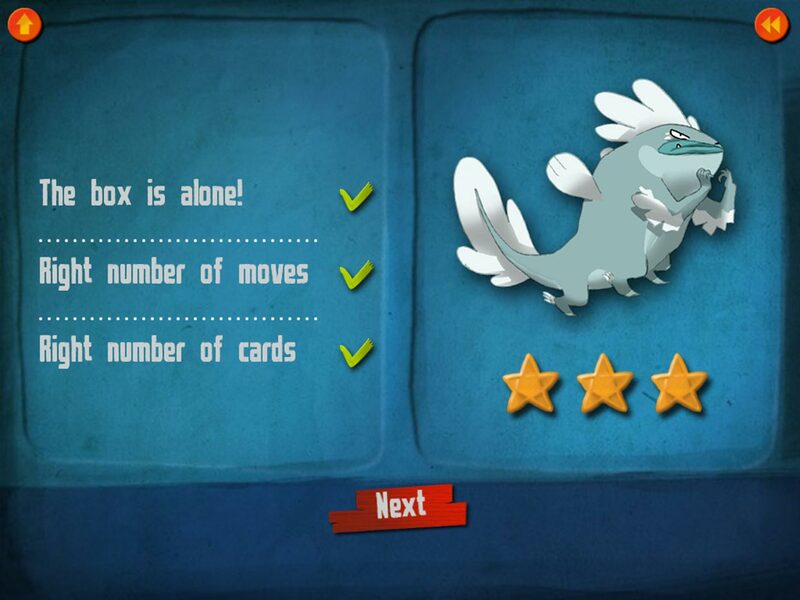 At the bottom of the screen, there are tiles that you may need to use to reach your goal of isolating the box. If you put a tile on one side of the board, you must also put an identical tile on the other side. Later in the game, this rule extends to placing tiles next to or under other tiles (multiplying or dividing). Each tile can also be flipped. On one side, it will be day (positive), and the other side will be night (negative). Stacking the day and night versions of the same picture will merge them into a picture of a portal. If you tap a portal, it will disappear. (The portal represent 0). Eventually, DragonBox does introduce variables with negative symbols instead of day/night as well as the number 0. Some tiles look like an ace dice and they represent the number 1. If you have two identical tiles above and below each other, you can slide them together to convert them into an ace. If an ace is touching another tile, you can slide it into the adjacent tile and it disappears (multiplying by 1). The goal is not only to isolate the box, but to also eliminate any useless tiles. For example, if there's an ace attached to another tile, get rid of it. And if there's a portal floating around, make it disappear. The number of stars you earn for each level is dependent on solving the equations in the least number of moves and eliminating useless tiles. By the time you reach the end of the game, all tiles will be variables or numbers, the box will be an 'x', and you'll have to perform several moves to solve the equations, including fraction manipulation and more than one 'x' tile on the board at a time. 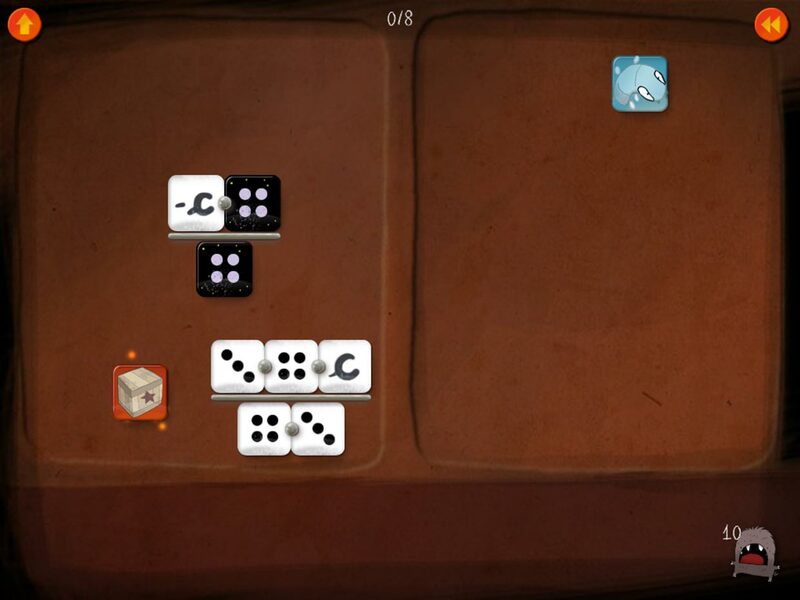 Dragonbox will also begin to display the tiles as an equation with multiplication symbols and plus and equal signs. After beating the game, you'll have access to bonus levels for even more practice. 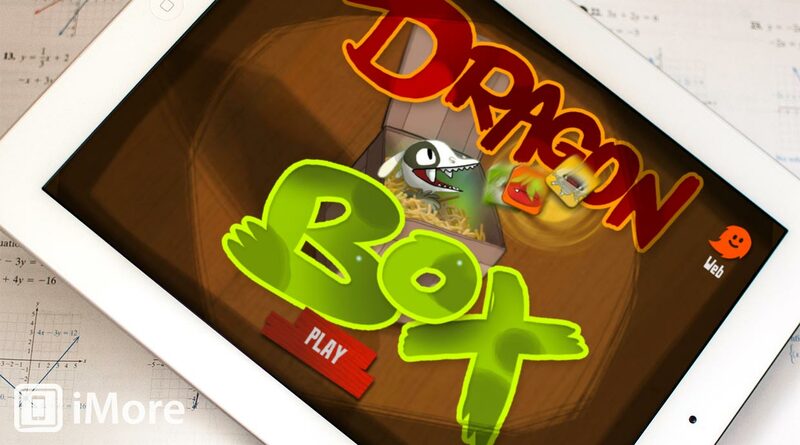 DragonBox is one of the best math games I've seen. 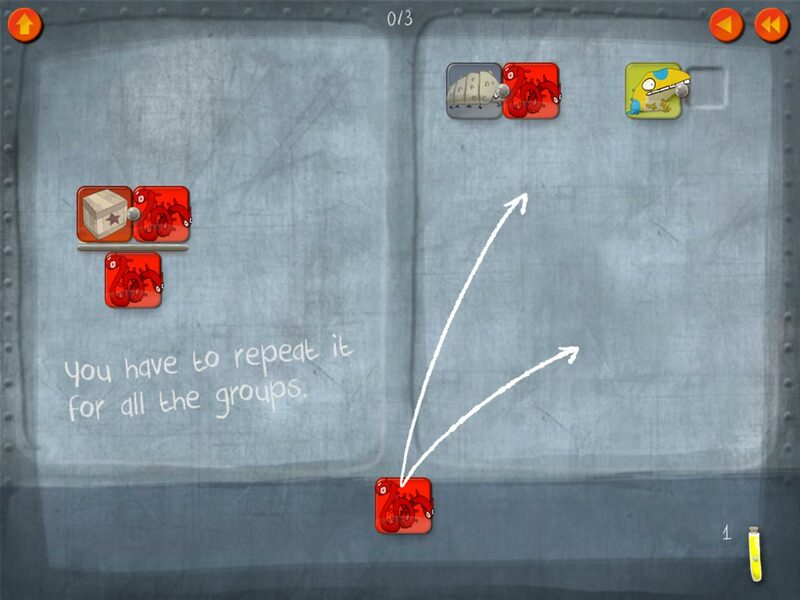 It does an excellent job of turning algebra into a game and teaching concepts in a fun environment. It also leaves some ideas open to discovery instead of a rule, which is the best way to learn. As a math educator, I highly recommend DragonBox to anyone who is learning algebra or struggling with algebraic concepts. I also believe DragonBox is an excellent way to first introduce kids to algebra before they formally learn about it in a classroom setting. Seriously, I'm very impressed with DragonBox as a fun, yet very effective, educational tool.